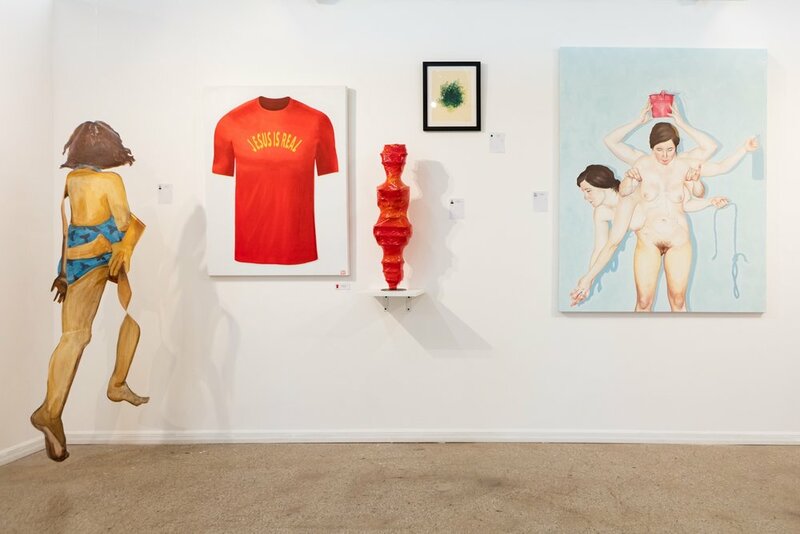 Trestle Gallery’s mission is to foster creativity and community by offering exhibition, education, and networking opportunities for contemporary artists and curators. This is made possible by the generous contributions from our individual and institutional supporters. By supporting Trestle, you are directly helping to provide space and services for creative people to focus on the development of their art and their career. Consider making a donation or find out other ways to support below! Browse the works we have available through our current exhibition and in our flat file program. When you buy art from Trestle Gallery, you are supporting artists and an arts community directly. 70% of all sales from Trestle Gallery go directly to the artist, 10% goes to the curator, and 20% goes right back into Trestle Gallery’s programming. Are you interested in becoming a Board Member? We are always looking to meet exciting, passionate people, who share our vision in improving our corner of the art world and supporting emerging and underrepresented artists and curators. Learn more about joining our board by emailing our Executive Director, Rhia Hurt. Whether it’s a in-kind donation for one of our events, or collaborating with us on innovative programming - Trestle is always looking for creative opportunities to reach new audiences and make connections by working with other businesses! Email us with an idea you have and we’ll work with you to work it out!